GST is a single tax which will be levied on the product or service which is sold. How and why GST in india ? There was a burden of "tax on tax"
With the help of GST tax structure is expected to be much simpler and easier to understand. except the exempted goods and services, goods which are outside of GST. The Central GST and State GST are to be paid to the accounts of the Centre and the States separately.The Central GST and State GST are to be treated separately, in general, taxes paid against the Central GST shall be allowed to be taken as input tax credit (ITC) for the Central GST and could be utilized only against the payment of Central GST. The same principle will be applicable for the State GST. 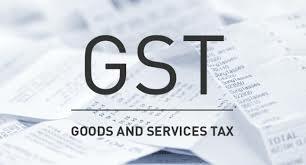 · The extent feasible, uniform procedure for collection of both Central GST and State GST would be prescribed in the respective legislation for Central GST and State GST. · The administration of the Central GST would be with the Centre and for State GST with the States. · The taxpayer would be need to submit periodical returns to both the Central GST authority and to the concerned State GST authorities. · Each taxpayer would be allotted a PANlinked taxpayer identification number with a total of 13/15 digits. This would bring the GST PAN-linked system in line with the prevailing PAN-based system for Income tax facilitating data exchange and taxpayer compliance. The exact design would be worked out in consultation with the Income-Tax Department. · The Empowered Committee has decided to adopt a two-rate structure –a lower rate for necessary items and items of basic importance and a standard rate for goods in general. There will also be a special rate for precious metals and a list of exempted items. A Composition/Compounding Scheme will be an important feature of GST to protect the interests of small traders and small scale industries. The Composition/Compounding scheme for the purpose of GST should have an upper ceiling on gross annual turnover and a floor tax rate with respect to gross annual turnover. In particular there will be a compounding cut-off at Rs. 50 lakhs of the gross 49 annual turnover and the floor rate of 0.5% across the States. The scheme would allow option for GST registration for dealers with turnover below the compounding cut-off. The Empowered Committee has accepted the recommendation for adoption of IGST model for taxation of inter-State transaction of Goods and Services. The scope of IGST Model is the Centre would levy IGST which would be CGST plus SGST on all inter-State transactions of taxable goods and services. The inter-State seller will pay IGST on value addition after adjusting available credit of IGST, CGST, and SGST on his purchases. The Exporting State will transfer to the Centre the credit of SGST used in payment of IGST. The Importing dealer will claim credit of IGST while discharging his output tax liability in his own State. The Centre will transfer to the importing State the credit of IGST used in payment of SGST. The relevant information is also submitted to the Central Agency which will act as a clearing house mechanism, verify the claims and inform the respective governments to transfer the funds. Thanks to the admin you have spend a lot for this blog I gained some useful info for you. Keep doing.